Sessions: "This nation must end the culture of leaks"
Attorney General Jeff Sessions — along with Director of National Intelligence Dan Coats — held a press conference this morning to announce a Department of Justice crackdown on government leaks, especially those that threaten national security. One big thing: Sessions said that the DOJ might begin reviewing the potential for media subpoenas, saying that the press does not have an "unlimited" role in American society. "They cannot place lives at risk with impunity. We must balance the press' role with protecting our national security and the lives of those who serve in our intelligence community, the armed forces, and all law-abiding Americans." Sessions announced the formation of a new FBI counterintelligence unit to investigate leakers. By the numbers: Sessions said that there have been as many leak inquiries in the past six months as over the prior three years. 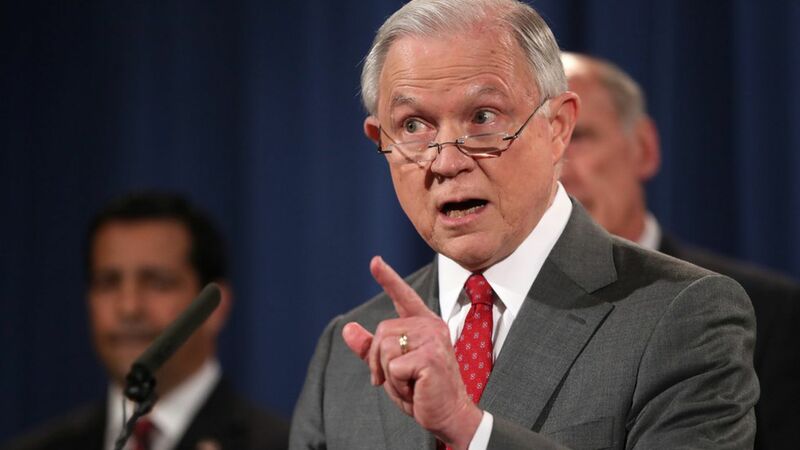 Sessions' message to the country: "We will not allow rogue anonymous sources with security clearances to sell out our country…Cases will be made and leakers will be held accountable." Sessions on leaks of Trump's transcripts yesterday: "No government can be effective when its leaders cannot discuss sensitive matters in confidence or talk freely in confidence with foreign leaders." Director of National Intelligence Dan Coats to leakers: "To anyone out there listening...we will find you...we will prosecute you to the fullest extent of the law, and you will not be happy with the result." Notable: Sessions and Coats — along with Deputy Attorney General Rod Rosenstein, who was also present — left without taking questions from the assembled press corps.